No matter what age you are or what stage of life you’re in, the True Potential Chiropractic team is here to help you reach your health goals. We believe in tailored care, meaning we’ll suit our approach to your preferences and what will get you the best results. You might receive care that’s different at each visit, depending on what you need on that day. We discuss the treatment options with you and decide together the best option for your particular case. Our treatment options may vary from visit to visit and certainly vary from person to person. Remember, we have special adjustments for newborn babies which are very gentle and completely different from a manual adjustment in which you may hear the click and pop. At True Potential Chiropractic we sell a range of pillows that can be fitted to ensure it is right for you and your needs. We also stock a range of high quality nutritional products to support your health – including magnesium. If you are pregnant or suffer acute conditions we stock high quality sacroiliac belts and back supports. 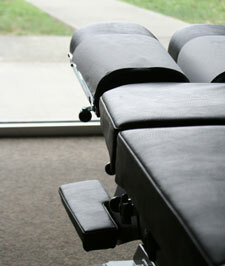 Get started today by contacting True Potential Chiropractic in Pakenham by phone or email! We offer late opening hours and accept health fund coverage.